The Crystal City Metro station. A pair of major Crystal City transportation projects that were key parts of Arlington’s pitch to Amazon are now set to receive millions in state funds. 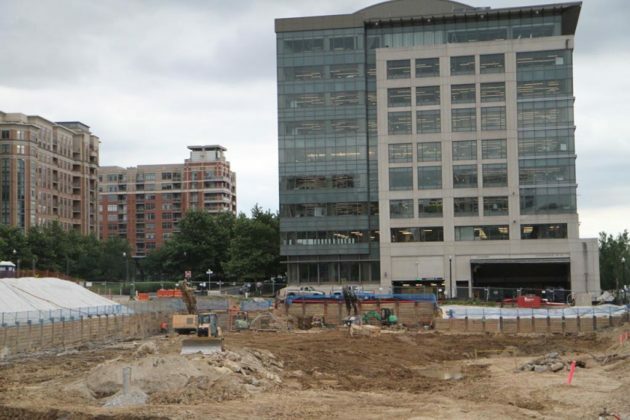 State transportation planners are recommending that officials send the county $52.9 million to help build a second entrance for the Crystal City Metro station, and another $6.6 million for an expansion of the Crystal City-Potomac Yard bus rapid transit system to Pentagon City. The money is set to flow through Virginia’s “Smart Scale” program, a pot of money managed by Gov. Ralph Northam’s Commonwealth Transportation Board for big-ticket projects around the state. Each year, state planners recommend a series of improvements for funding by weighing various factors like how each one will reduce congestion or spur economic development efforts. While the funding arrangement isn’t final just yet, the cash could help spur the construction of two of the five transportation improvements Northam’s negotiators promised to the tech giant in striking a deal to bring Amazon’s new headquarters to Crystal City and Pentagon City. A second, southwestern entrance to the proposed Potomac Yard Metro station, a new pedestrian bridge connecting Crystal City to Reagan National Airport and as-yet-undetermined improvements to Route 1 were also part of the incentive package. However, the company didn’t put forward any cash on its own to afford the changes, leaving the county and the state to sort out the funding details. And the latest recommendations from state officials suggests that they’ll be drawing the bulk of the funding from “Smart Scale” cash, necessarily shrinking the size of the pot of transportation dollars available for the rest of the state. Notably, the nearly $53 million set aside for the second Metro entrance is substantially less than the $78 million in “Smart Scale” money county officials requested for the project this past summer, back when it was still no sure bet that Amazon would pick Arlington. The project’s total price tag is estimated at $90.7 million. County leaders have hoped for years now to build an eastern entrance to the station, to be located at the northwest corner of the intersection of Crystal Drive and 18th Street S., in order to make it more accessible to commuters and improve connectivity with the nearby Virginia Railway Express station. Yet Arlington had trouble winning regional transportation funding for the project, in part due to some of the vagaries of the deal struck by state lawmakers to provide dedicated annual funding for the Metro system, but Amazon’s impending arrival seems to have bumped the effort to the front of the line. The project didn’t score especially well on the “Smart Scale” metrics designed to evaluate projects for funding, placing 83rd out of the 433 projects submitted for consideration this year, but it was still included among the 11 projects in the Northern Virginia area set to see more cash this year. Documents prepared for the CTB don’t lay out where the county will find the remaining $37 million or so for the project. 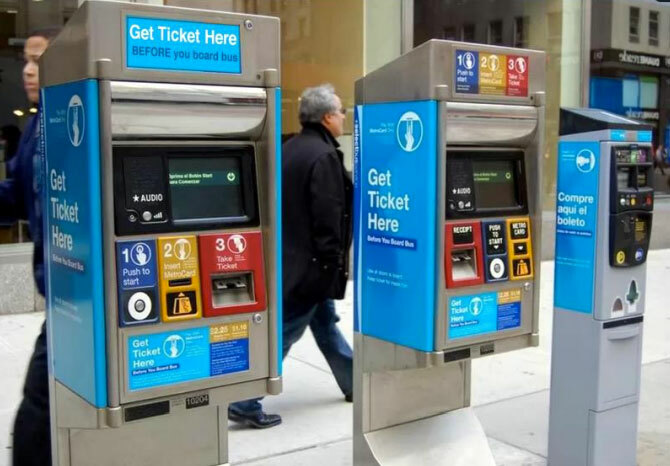 The regional Northern Virginia Transportation Authority previously sent $5 million to account for engineering and design costs, but Arlington officials declined to allocate much cash for the project in an update to its 10-year construction spending plan passed last year. Northam could opt to include more funding for the project in his state budget this year; the county’s proposed deal with Amazon also mentions that officials plan to draw up to $28 million over a 10-year period from tax revenues generated by the new headquarters to afford improvements in the area. By contrast, the expansion of the dedicated bus lane system, commonly known as the “Transitway,” was already in the works when the Amazon deal came into focus. The “Smart Scale” cash will fund all but about $1.8 million of the project’s estimated cost. The Transitway currently operates between the Crystal City Metro station and the Braddock Road station in Alexandria, with dedicated bus lanes and stations covering about 4.5 miles in all. The expansion would add another .75 miles to the route, linking the Pentagon City Metro to the Crystal City stop. 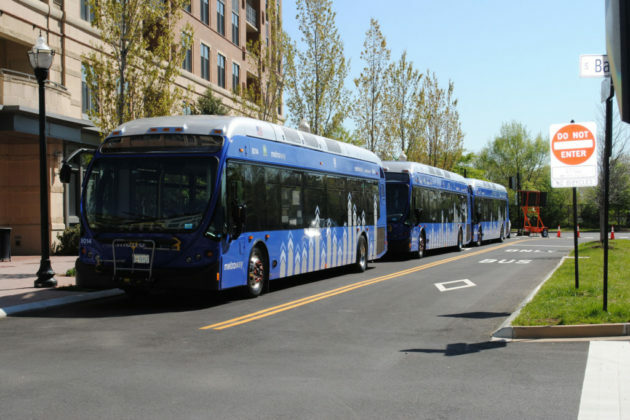 With Virginia Tech planning a new campus in Potomac Yard to coincide with Amazon’s arrival, and development in the neighborhood ramping up, the bus service would provide a link between all three areas before a new Metro station opens in the Alexandria neighborhood. The project ranked 10th overall on the “Smart Scale” metrics. The CTB will spend the next few months finalizing these funding plans, and is set to approve them formally in June. 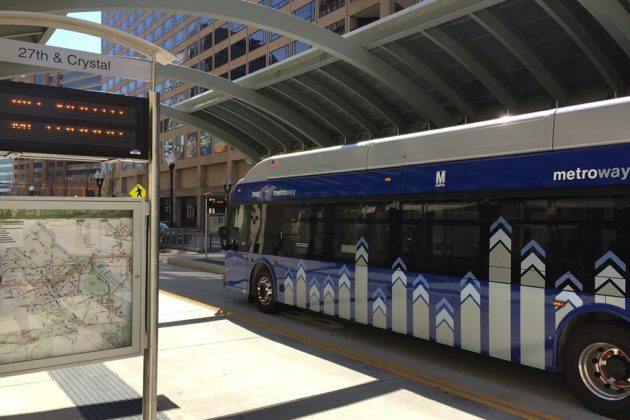 Arlington is gearing up to extend its bus rapid transit system to better connect Crystal City to Pentagon City, and county officials are inviting people to learn more about the project at a meeting tonight (Thursday). 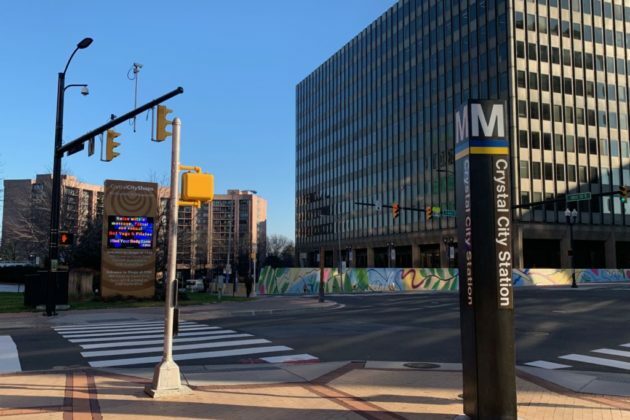 The county is holding an open house to show off details of the planned Crystal City-Potomac Yard Transitway extension, running from 6:30-8 p.m. in the Crystal City Shops (2100 Crystal Drive). The $27.7 million project is part of ongoing efforts to better connect the two neighborhoods, and the county recently earned millions in regional transportation funding to make it possible. 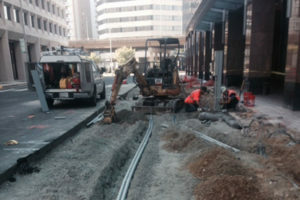 The effort will involve the construction of seven new bus stations by the time it’s wrapped up. Crystal Drive from 15th Street S. to 12th Street S. and Long Bridge Drive (Includes curbside rush hour bus lanes and two stations, one on northbound Crystal Drive at 15th Street S., and one on westbound 12th Street S. at Long Bridge Drive). The Crystal Drive segment is currently the farthest along, with transportation planners currently in design discussions for the effort. The county is still in more conceptual discussions about the other two segments. 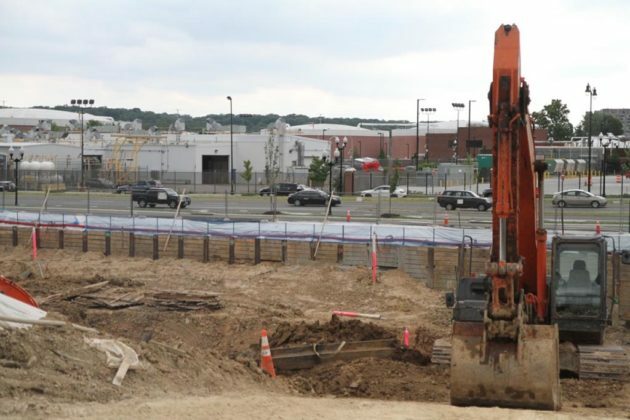 Work at a new Potomac Yard apartment building set to include a new church is well underway. The County Board approved the addition of a church to the first and second floors of the 12-story residential building in 2015. The building was originally approved in 2007 but went unbuilt for some time. 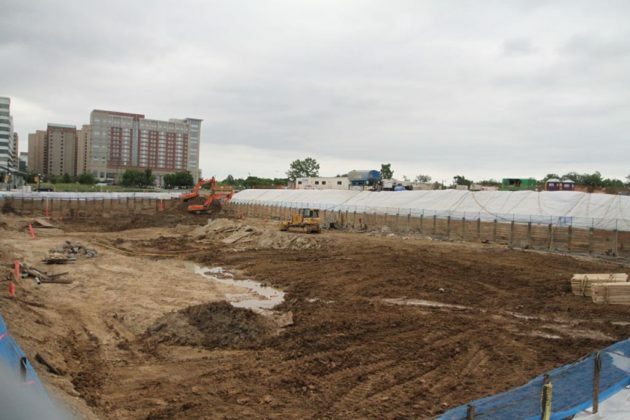 Now, however, the site between Jefferson Davis Highway, 33rd Street S., 35th Street S. and S. Ball Street has been cleared by construction crews, with foundations set to be lain soon. The new church — known previously as the “Meetinghouse of Worship” — is planned for a portion of the first and second floors of the building. It will be occupy 23,906 square feet of space, with a 300-seat sanctuary, classrooms, administrative offices and a multipurpose room on the first and second floors. The church will be on the left side of the building, next to 33rd Street S., while on the right side of the building, the apartment complex will have a lobby and retail space. 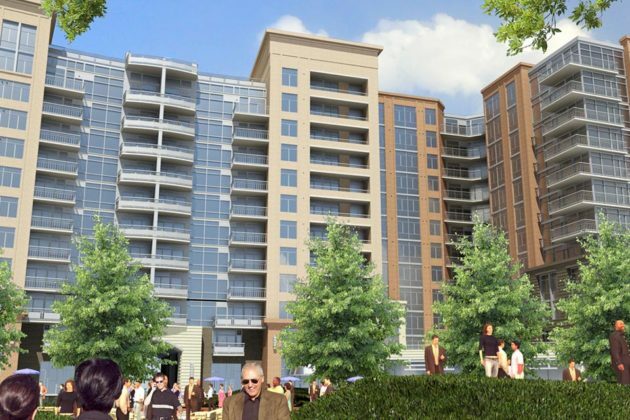 The apartment complex is set to have 342 units, having added 11 with the church’s approval. A brochure on the building by architects DCS Design touts its “ground floor retail, rooftop pool and a private exercise facility,” and its proximity to public transit options. 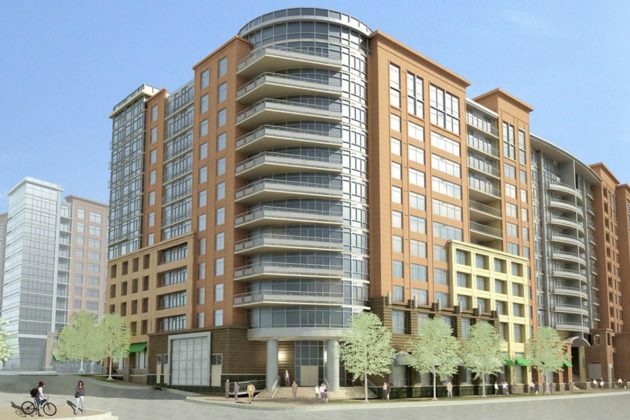 The building will be close to a Crystal City-Potomac Yard transitway stop on Crystal Drive, parallel to Route 1. Representatives with developer The Praedium Group did not respond to requests for comment on a timeline for construction, or further details on the church that will move in. One year after it began service through Arlington, the Transitway appears to have picked up steam, and thousands of riders each day. Metroway operates between the Braddock Road and Pentagon City Metro stations via U.S. Route 1 through Potomac Yard and Crystal Drive in Crystal City. It opened last April after collaboration with the City of Alexandria but ran into construction delays and cost challenges. According to statistics provided by the county’s department of environmental services, there have been an average of 3,805 boardings and disembarkings at all stations in Arlington every weekday. County staff said there have been an average of 474 weekday boardings and disembarkings at the S. Glebe Road station, just north of Arlington’s border with Alexandria. The station has the most riders in Arlington by that metric. County staff estimate that riders starting their journeys at S. Glebe Road saved two-and-a-half minutes on their journeys with the dedicated bus lanes, compared to when they rode the Metrobus’ 9S service, which was replaced. The Transitway also played a role in providing alternate transportation routes for Arlingtonians during Metro’s SafeTrack surges that affected Metrorail’s Blue and Yellow lines. 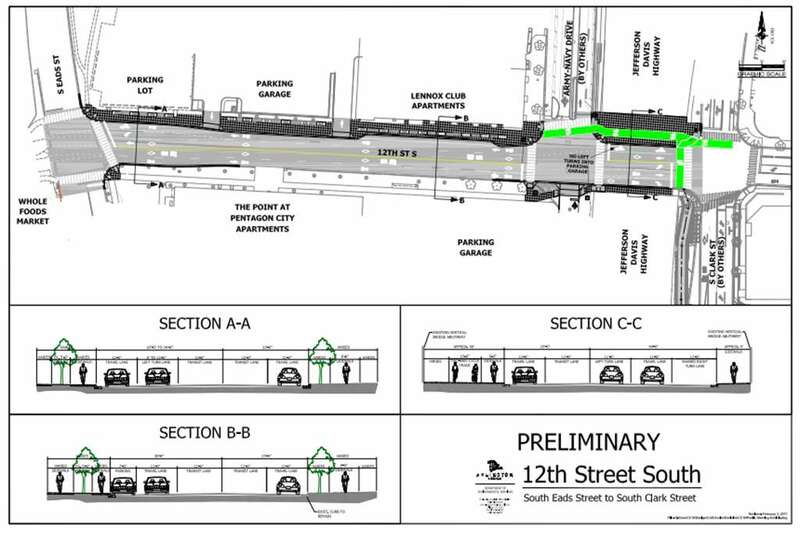 Designs for the project to improve 12th Street S. in Crystal City are coming together, and now the public can take a look themselves. 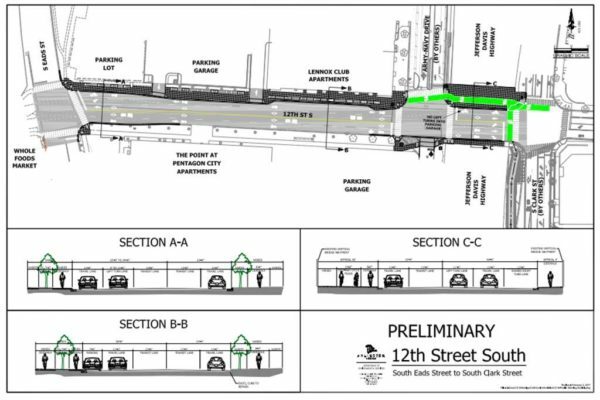 The “Ask the Project Team” event for the Complete Street project between Clark and Eads streets is scheduled to take place on Wednesday from 3-6 p.m. at The Connection pop-up library at 2100 Crystal Drive. The designs are 30 percent complete, so this event means residents can provide feedback on any major concerns in the plans. The project will help create dedicated bus lanes for the Crystal City/Potomac Yard Transitway in that section of 12th Street S. — the same stretch in which a commuter bus crashed into an apartment building last week — as well as provide pedestrian improvements. 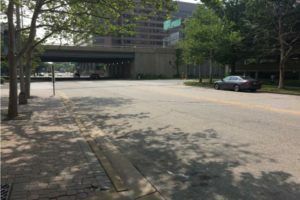 It will add two-way bicycle lanes under the Route 1 bridge, which will link a future two-way bicycle track on Army Navy Drive to a planned two-way bike lane along S. Bell Street heading toward the Crystal City Metro station. Those new bicycle facilities will then link to Long Bridge Drive. The design will also include improved landscaping, sidewalks, pedestrian ramps and streetlights, as well as new north/south crosswalks at Army Navy Drive. 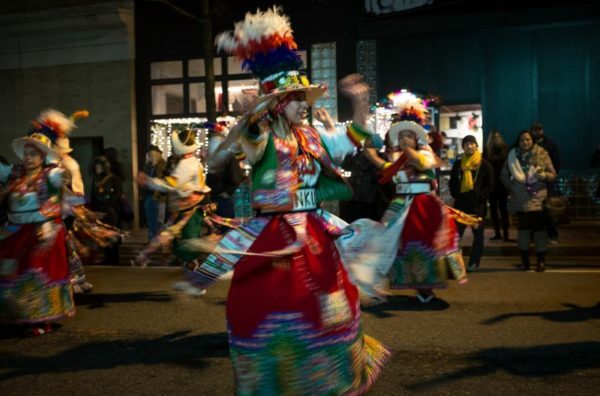 It is adjacent to the 12th Street S. extension project from S. Eads Street to S. Fern Street in Pentagon City. After the meeting, the project display boards will remain at the library for public viewing until April 15. 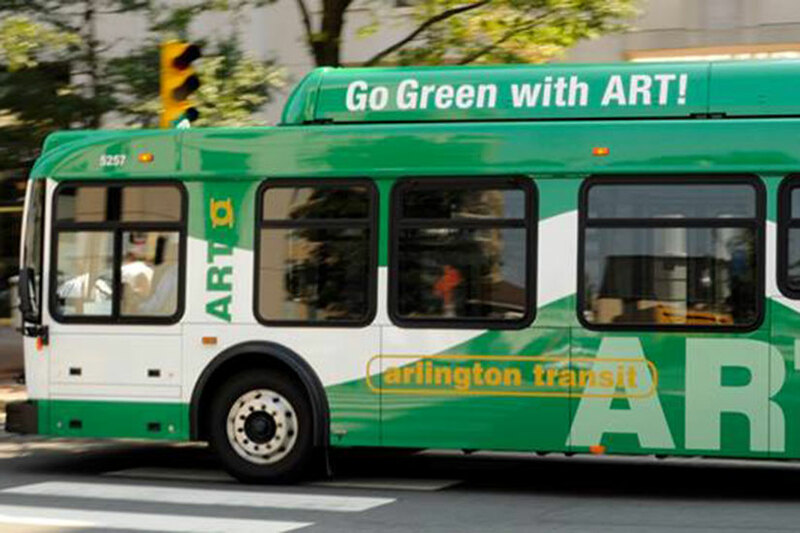 Premium bus service will be coming to Columbia Pike, and Arlington County is studying the possibility of establishing dedicated bus lanes as part a series of transit improvements. That’s the message from County Manager Mark Schwartz, who spoke at a County Board meeting yesterday afternoon. More than a year in the making, since the Nov. 2014 cancellation of the Columbia Pike streetcar project, the new transit plan for Columbia Pike will include bus service that’s “fast, frequent, reliable, easy to use, comfortable,” Schwartz said. Near-level boarding, as depicted in the photo above, makes for faster boarding and shorter stops. 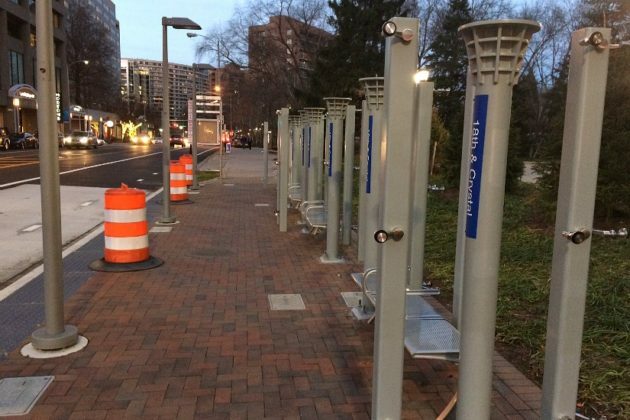 The infrastructure to allow it is in the works, as Arlington County already has a plan to build 23 new, enhanced transit stations along Columbia Pike. 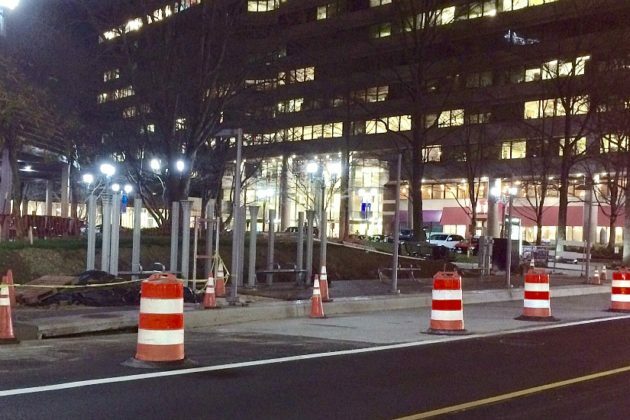 The stations are expected to cost about 40 percent less than the infamous $1 million “Super Stop” prototype at the corner of the Pike and Walter Reed Drive. Other considerations to make bus service faster include include off-board fare collection — so riders can pay for their fare before the bus arrives — and traffic signal prioritization, which would allow green lights to stay green until a bus passes. Though it would require state approval and potentially costly acquisition of Right-of-Way, dedicated bus lanes are currently being studied by county planners. One of the most lethal criticisms of the streetcar plan was that it would operate in mixed traffic without dedicated lanes. The county is studying the possibility of dedicated lanes for at least portions of the Pike — potentially allowing buses to make stops without blocking a lane of car traffic, for instance. 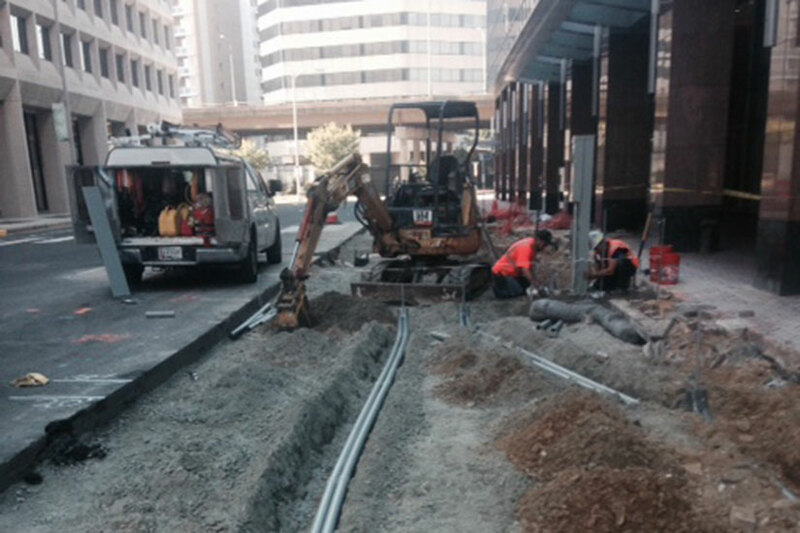 Dedicated lanes are part of the Metroway Bus Rapid Transit service that’s being implemented in Crystal City. “Premium bus service would build on transit improvements already underway in these corridors. 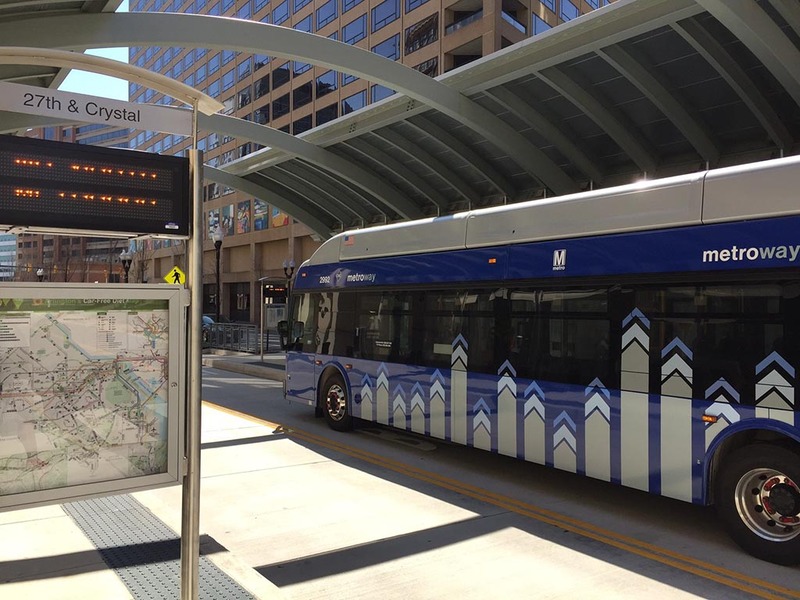 Columbia Pike, Pentagon City and Crystal City are among the most transit-rich areas of Arlington, with the Pike’s 600 bus trips carrying more than 17,000 passengers each weekday,” the county said in a press release. The new Pike bus service plan will be included in the county’s state-mandated Transit Development Plan. Arlington will be conducting public outreach on the plan over the next couple of months. It’s expected to be ultimately approved by the County Board in May. 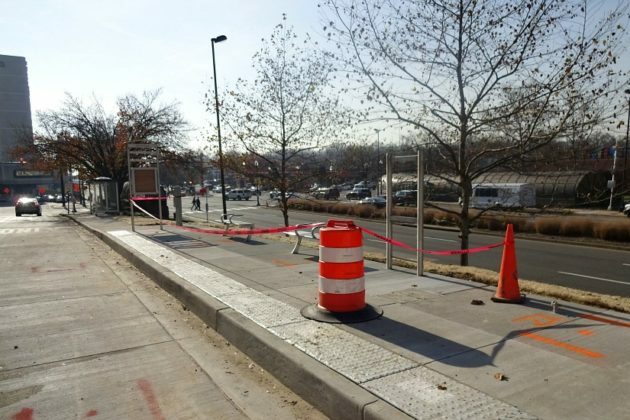 After a series of complications, construction delays and cost challenges, Arlington’s first dedicated transitway is expected to be completed this spring. 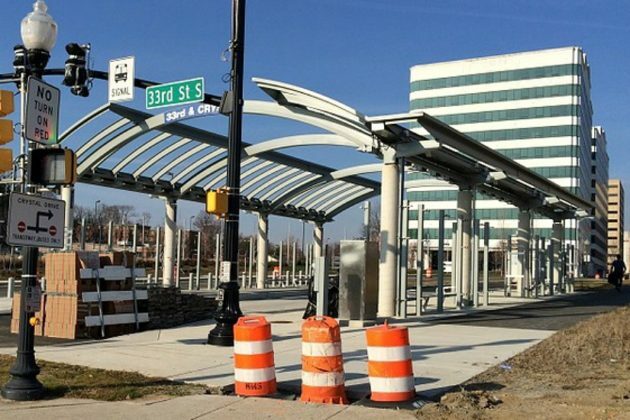 Stations for the Crystal City Potomac Yard Transitway are taking shape now that officials have overcome the unforeseen construction challenges. In a presentation to the County Board earlier this week, construction managers outlined changes to the project scope and design to compensate for these issues. The station roofs will now be made of a less expensive material that’s also easier to produce than what was originally proposed. County crews will also assume the fabrication and installation of signage and pavement markings at all the stations to cut costs. However, the stations will all still have higher curbs for easier boarding, lighting and real-time arrival information. The transitway is a joint project between Arlington and Alexandria to complement the Metrorail system. Arlington’s portion of the project includes seven stations, 0.75 miles of new, transit-only roadway, and 1.5 miles of dedicated transit lanes on existing streets. The transitway runs in a loop around Crystal City, running from Crystal Drive to S. Clark Street and back to Crystal Drive. Once open, vehicles and other traffic will be restricted from the dedicated transit lanes between 6-9 a.m. and 3:30-7 p.m., three and a half total hours less than first proposed. During these hours, vehicles cannot use the lanes to bypass traffic or to travel through an intersection and cannot obstruct the transitway buses. Weekly construction updates will be published online throughout the winter. Transitway project managers will also work with Metro representatives to select the initial opening date. 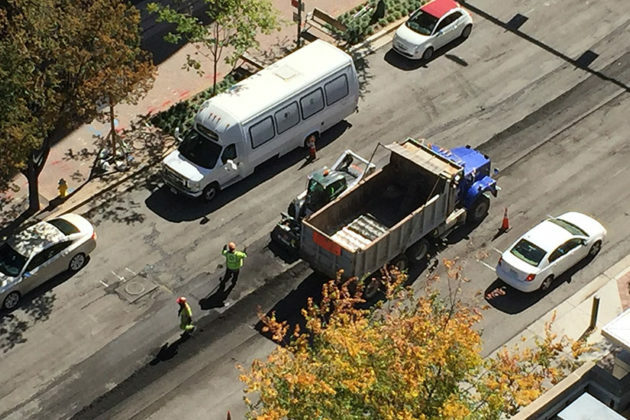 Some Crystal City residents say they’re fed up with nighttime paving on Crystal Drive that they claim has kept them from sleeping. Roadwork on Crystal Drive should end tonight, which is ahead of schedule, said county spokeswoman Jessica Baxter, adding that the original timeframe had paving and milling continuing for several weeks. “We apologize for the inconvenience, but this is important work that needs to get done. The end result will be a smooth, durable pavement that all roadway users will enjoy,” Baxter said. 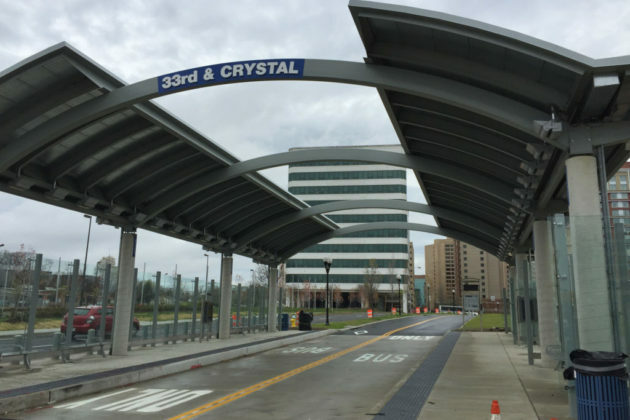 Crystal Drive was on the county’s schedule for paving this year, and it needed to be completed so the county could finish the Crystal City-Potomac Yard Transitway. 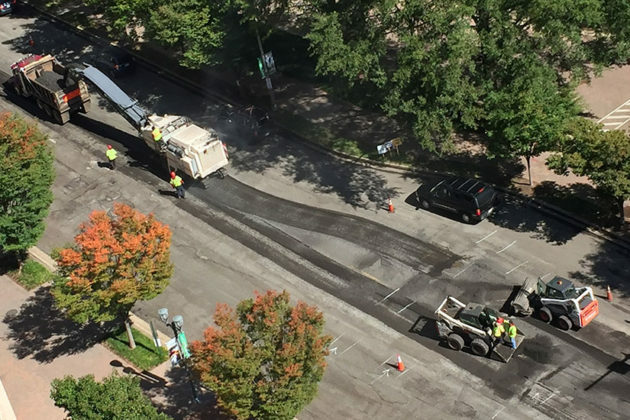 Milling began last Friday, Oct. 9 at 9 a.m., but the majority of the paving was done at night in order to reduce traffic disruptions during the work day, she said. 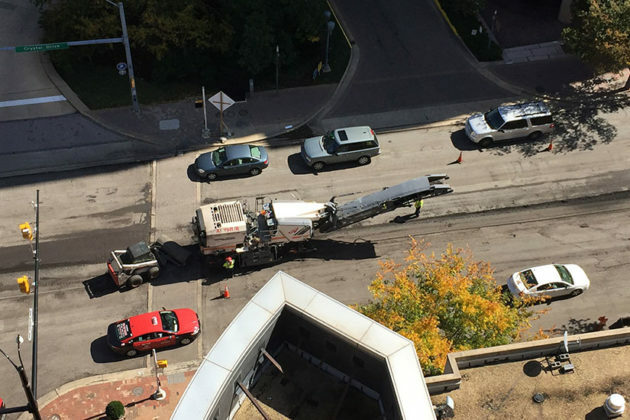 Some Crystal City residents claimed that the paving noise was loud enough to keep them awake throughout the night, taking to Twitter to voice their frustrations. 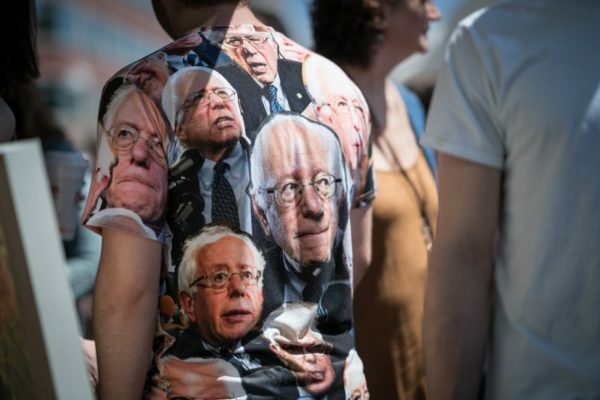 The noise was loud enough to be heard through earbuds, said one resident who asked that we redact his name after the publication of this article. “Why would the County approve night time road work along a road with residential buildings with hundreds of residents? Even with ear plugs, it was extremely difficult to sleep, and I’m sure other residents along Crystal Drive had a difficult time as well,” the resident said. Arlington warned people living in Crystal Drive residences that there would be nighttime roadwork, Baxter said. 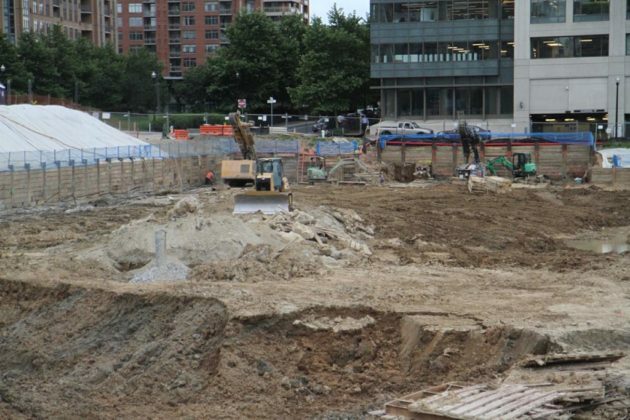 Construction on the Crystal City Potomac Yard Transitway will continue through the fall after being delayed by construction conflicts. 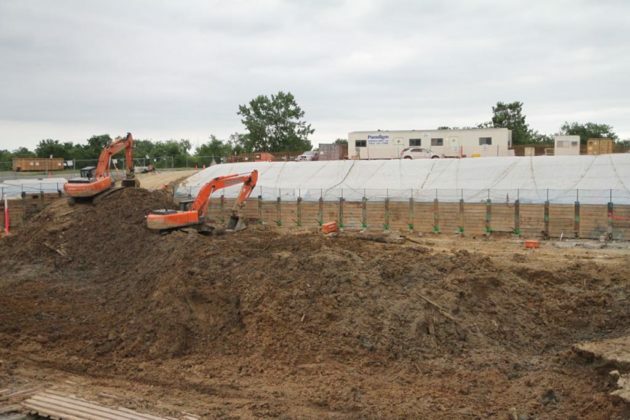 “Unforeseen utility conflicts, poor soil conditions and underground obstructions slowed work at several station locations,” the county said on the project’s website. 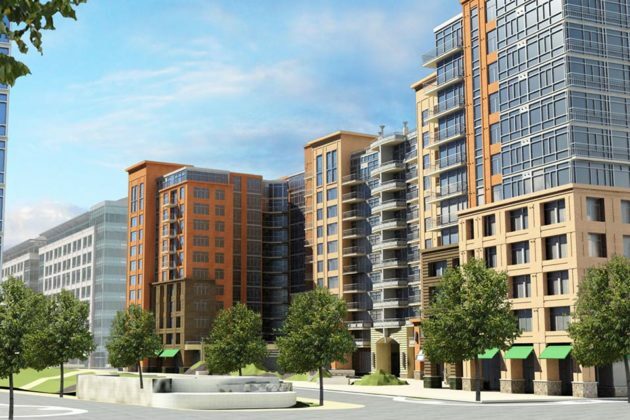 Arlington County is currently working with contractors to set a new completion date for the project, said county spokesman Eric Balliet, adding that the county will update the community once a schedule has been set. The county is also holding a public meeting next week to give an update on transitway. The meeting on Oct. 8 will be held at the Residence Inn (2800 S. Potomac Avenue) from 6:30-7:30 p.m. Currently, the county is working on new transitway lanes and on three of the new stations, Balliet said. Crystal Drive, S. Clark Street and S. Bell Street are affected by the road construction, he added. 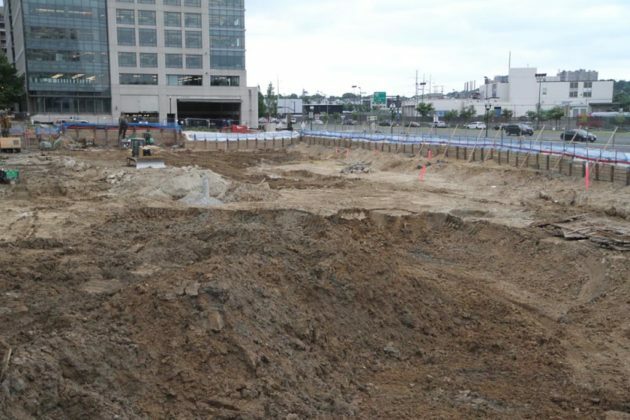 Once completed, the Crystal City Potomac Yard transitway will provide better bus service along the Route 1 corridor, especially during rush hour, the county said. 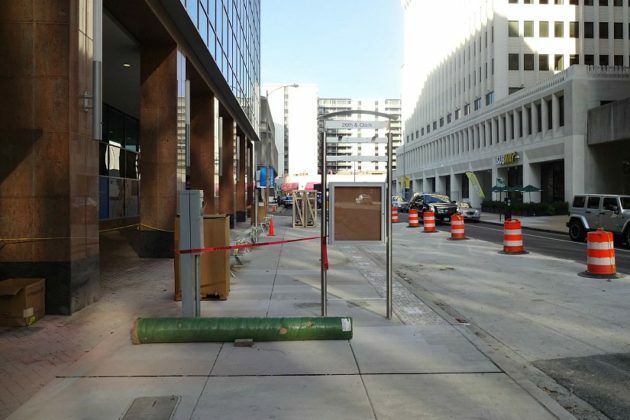 “The new 4.5-mile Transitway between the Crystal City and Braddock Road Metrorail stations will provide faster, more reliable bus service along the congested Route 1 corridor, with amenities designed to attract new riders,” the county said. 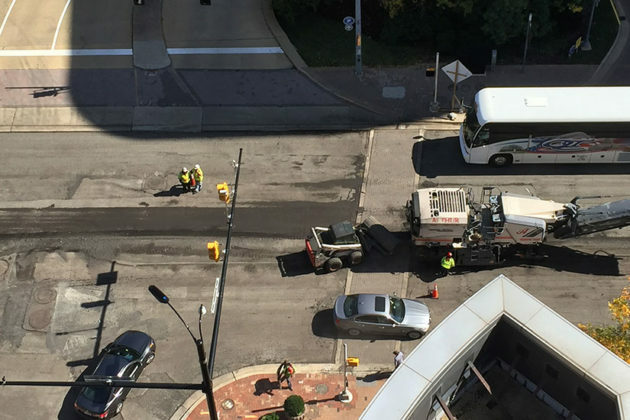 The transitway project broke ground in July 2014 and was originally slated to take 10 months.